What They Say....Lose yourself to the magic of The Charm Bracelet. What I Say....One of the best things about being a blogger is the chance to read debut authors. I have nothing but respect for people who are able to write a book, and I try to always be kind in my reviews even if they aren't my cup of tea. Thankfully, this wasn't one of those times. The book started off a little slow, but once they got to Lolly's stories, it improved dramatically. Her stories had a much better flow than Arden's or even Lauren's. 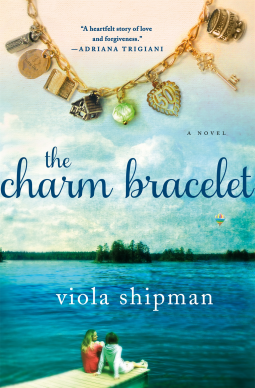 I always enjoy reading stories of the past - but this was really done well because they were almost like short stories, connected by the charm bracelet. This made me want to go rent a cottage in Michigan and while away the summer. This would be a great beach read. I'll be watching for her next book.